Based out of Lyon, France, the alternative rock band Gonetcha wonderfully merges its musical expertise with the consciousness of being for a tantalizing melodic ride. The group was formed in 2017 after being inspired by a dream. Since its creation, Gonetcha has released three albums, Métro de Pensées (literally Underground of Thoughts), Mission, and their newest album entitled Fickle Games. 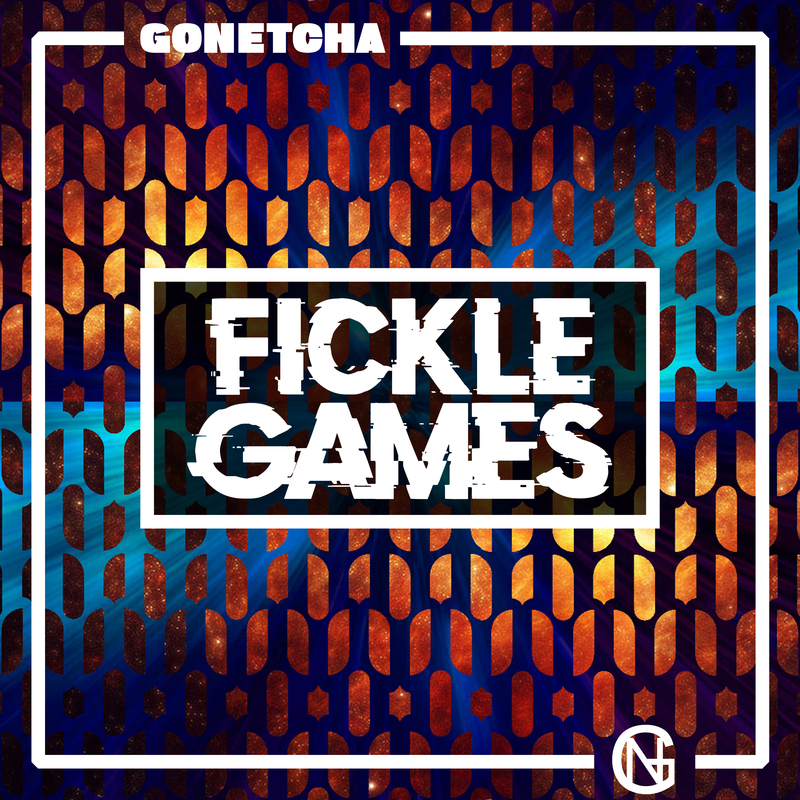 Blessed with a musical landscape built from elements of blues, folk, psychedelic, and progressive rock genres, Fickle Games emerges from a pool of Gonetcha’s unique inventiveness with 12 trailblazing tracks. Fickle Games shines from an organic place that brilliantly epitomizes Gonetcha’s raw talent. This is a journey that is guided by a vibe between musicians feeding off of each other. The result is something beautiful. 1-Picture Me – With its intoxicating groove and night on a tour with nature narrative, Gonetcha to paint a 70’s style rocker that is catchy and moving. The flaring guitar riff reminds of us rock’s glory days that makes this nostalgic album opener a true goodie. 2-Save Our Decay – A bright tune with a garage rock sound and poetic lyricism. The track’s sparse vibe bears down in featuring the blatant skill of Gonetcha. 3-Don’t Say Sorry – The song’s unorthodox structure is charming, but even more profound is its poetic theme. Of course, no one wants an insincere apology and Gonetcha gives us their all on this inspiring adventure. 4-Giddy Buy – The track opens up with a cool drum beat and a funky backdrop as reinforced by the song’s slick bassline. Giddy Buy is one jewel that adds to the overall creative depth of Fickle Games. 5-More Witty – This song seems to paint pictures of a student’s first day at the university. The track opens with a charming bassline heralded by an intense rhythmic guitar, a great song. 6-I Need To Know – this is a wonderful anthem of unrest that many of us can relate. Our lover is going out and we need to know what’s going on. The track picks up elements of goth rock that make it a bit more cinematic offering. 7-Rebel Hour– Sort of a downbeat beauty that has warm energy through its hazy atmosphere. The song has a nice break and strong drumming. 8-By Myself– Another feature of Fickle Games that stands to the forefront is how Gonetcha is able to get the music to speak as strongly as the vocals. By Myself is a perfect example of this. The track opens with a guitar solo that compliments its title as the music’s free and hypnotic tone is able to capture our attention in the most intelligible way. 9-Losing Control – As one of my favorite songs on the album mainly because of its gritty sound and free-flowing rhythm. Losing Control is an epic masterpiece that describes being overtaken by dark emotions. 10- Look For Me– Delving deeper into Fickle Games’ expressions of psychedelia in the track Look For Me. Wonderful guitarist and progressive instrumentation are why this song adds to the continuity and overall appearance of the album. 11-Flee Or Fight– This is one song with an awesome guitar lead. I am reminded of the Beatles’ Dr. Robert. Definitely, a tune made especially for devotees of rock’s traditional sound. 12-No Limit– Gonetcha concludes Fickle Games with a message of inspiration. No Limit is a song about triumph and making your dreams happen. The music is equally inspiring as the whole of Fickle Games. Fickle Games is truly a masterpiece of its genre. This is an album that is indeed a gateway to another dimension. Amazingly, instead of an overproduced collection of songs, Gonetcha keeps it grassroots, which is what makes this album a valuable treasure to the music world.